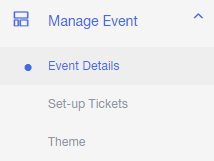 Using Accelevents ticketing platform, you can easily set your event date and time, location, and add an event description for your event. You can also add any relevant images or logos. You can then edit all event details!